The Public Affairs Office is responsible for press relations, information resource services and cultural programs of the U.S. Embassy. The Public Affairs Office is headed by the Counselor for Public Affairs who is assisted by the Press Attaché and the Cultural Attaché. The Press Section handles all relations between the U.S. Embassy and the media: responds to questions from the press, provides information to the media on U.S. foreign policy and current issues, and arranges interviews with U.S. government officials and press coverage of Embassy events. The Cultural Section administers a variety of educational and professional development exchange programs, including the International Visitors Leadership Program, which sends mid-level Malaysian professionals to the U.S. to meet their American counterparts and become familiar with the U.S. The Cultural Section also manages the U.S. Speaker Program, which brings American experts representing a range of disciplines to speak at universities and participate in seminars, exchanging views with Malaysian audiences. The Cultural Section also supports the educational advising and program management activities of the Malaysian-American Commission on Educational Exchange (MACEE) which administers various educational programs, including the Fulbright Scholarship Program. MACEE also provides information and guidance on studying in the U.S. The Public Affairs Section also oversees a network of American Corners, located throughout Malaysia in government public libraries and public universities.American Corners are programing venues offering exposure to U.S. citizens, American Culture, and English language and STEM learning activities. American Corners provide media collections representing high quality American publications including fiction and non-fiction books, films, and a variety of journals, magazines, and electronic media. The Press Section handles relations between the Embassy and the media in Malaysia. The Embassy Information Officer responds to questions from the press and provides information on U.S. foreign policy and current issues to the media. The Press Section arranges media events including press conferences, media coverage of key events in Malaysia involving the United States Government, and requested interviews with the Ambassador, other Embassy personnel, and visiting U.S. Government officials. The Press Office also works with the Malaysia press corps to facilitate travel to the U.S. by Malaysian media for training and reporting purposes. Occasionally, the Press Section will sponsor journalism training sessions and arrange for speaking tours by media experts and other professionals with schools of communication in Malaysia. Please click here for press releases. The political section advises and supports the Ambassador in maintaining bilateral relations between the United States and Malaysia. Political officers work with Malaysian counterparts in government, non-governmental organizations (NGOs), political parties, media, academia, and other fields, to enhance cooperation in areas that benefit both countries. In these contacts, the section is responsible for conveying the official views of the United States government. The political section also reports to Washington on key political developments in Malaysia, and drafts several mandatory Congressional reports each year on issues such as human rights and religious freedom. For more information on topics of specific interest, please browse the links below. The political section includes a Counselor for Political Affairs, several political officers, and two Malaysian political specialists. The Economic Office is responsible for the conduct of economic diplomacy between the U.S. and Malaysia, and reports on key economic developments with an emphasis on U.S. interests. The section is headed by the Economic Counselor. For further information, please call the Economic Office to be directed to the correct officer. We would appreciate callers restricting their calls to only urgent (i.e., life and death) matters. Due to the heavy volume of faxes, e-mails and letters, routine correspondence regarding visa applications (i.e., Mr./Mrs. X will be applying for a visa) are not tracked and will not be answered. Section 222(f) of the Immigration and Nationality Act considers information concerning visa applications confidential and will be discussed only with the applicant or the applicant’s legal representative. You will find the answers to most visa related questions in this website in both the main informational and in the FAQs (Frequently Asked Questions) sections. For any inquiry NOT addressed on this web site, you can contact us by e-mail. Note: If your e-mail asks for specific instructions that are already available on this website, you will be given the link to that page. Please be sure that you have already read the information related to your issue BEFORE you request additional information. Information regarding nonimmigrant visas can be found on our website. For general questions, call 6-03-9212-6000. Any questions regarding immigrant visas in process can be directed to KLIV@state.gov. If you have not begun the immigrant visa process, please visit here for more information. Information regarding for routine services for ACS can be found on our website. If you have an urgent request relating to an American citizen, call 6-03-2168-5000. The Regional Security Office (RSO) is responsible for providing a secure living and working environment for the U.S. mission in Kuala Lumpur, Malaysia, through a commitment to the protection of life, facilities, and information. The RSO also provides advice and assistance to resident U.S. citizens and to U.S. businesses. The RSO is a branch of the Bureau of Diplomatic Security, which is the security and law enforcement arm of the Department of State. 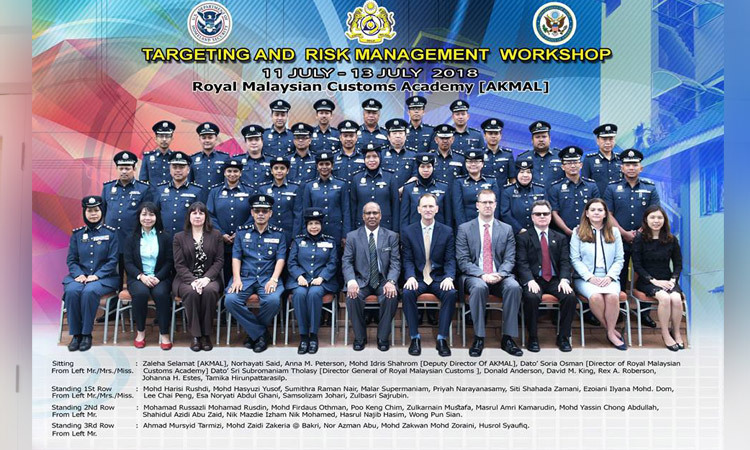 The RSO is staffed by U.S. federal law enforcement officers who work closely with the Royal Malaysia Police and other security and law enforcement agencies on security and investigative matters. The RSO is the U.S. Embassy’s primary security resource in Malaysia. The Regional Affairs Office (RAO) is responsible for monitoring and analyzing multilateral political and economic issues in the Southeast Asian region as they affect U.S. policy interests. In recent years, the office has concentrated on economic growth issues and international trade activities in the region. In addition to preparation of research papers in response to specific State Department requirements, the office also supports reporting requirements of the Embassy and other U.S. embassies in the region. U.S. Commercial Service Malaysia is your eyes and ears for business in this commercial crossroads of Southeast Asia. From our offices at the U.S. Embassy Kuala Lumpur, we promote the export of U.S. goods and services, facilitate job-creating investment in the United States, and protect U.S. business interests. Our staff of Commercial Specialists provides business counseling, market research, commercial contacts, access to business promotion opportunities, and commercial advocacy with governmental agencies. Bilateral trade between the United States and Malaysia in agricultural, fishery, and forestry products totaled over $2.9 billion in 2008. Agricultural trade between the two countries is often complementary, with the U.S. supplying bulk grains and oilseeds, feedstuffs, temperate fresh fruits, temperate hardwood lumber, and other high value consumer products. Malaysia supplies the U.S. with rubber, palm oil, cocoa products, and value-added wood products. The Office of Agricultural Affairs (OAA) of the U.S. Embassy in Kuala Lumpur represents the interests of the U.S. Department of Agriculture (USDA) and the U.S. agricultural industry in Malaysia. We analyze and report on Malaysia’s agricultural production, demand for agricultural commodities and products, market opportunities, and the nature of competition from other suppliers. We advocate U.S. policy interests by monitoring tariff and non-tariff barriers and proposing measures to enhance the market access for U.S. agricultural products. 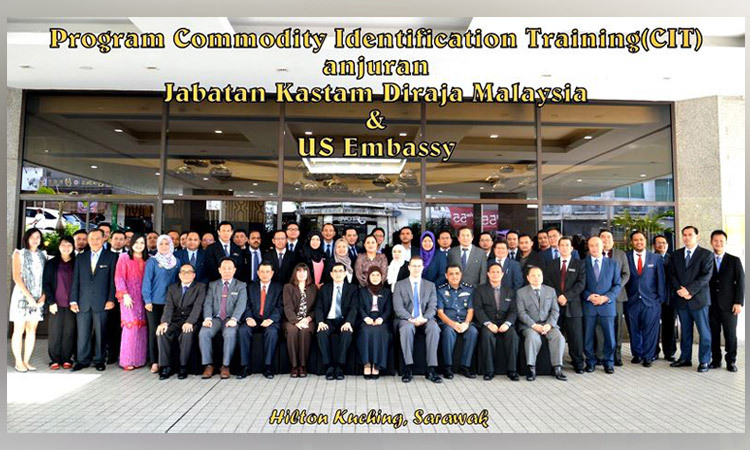 We work closely with U.S. non-profit commodity organizations, known as foreign market development cooperators, to increase U.S. agricultural exports to Malaysia. We sponsor promotional activities and participate in food seminars and shows throughout the year and assist local Malaysian importers in locating reliable U.S. suppliers through the computerized trade leads service and the resources of the office. The OAA also engages in a wide range of cooperative activities with the Government of Malaysia and other entities in Malaysia with the goal of enhancing our two countries relationship in food and agriculture. Another area of shared interest between the U.S. and Malaysia is agricultural biotechnology. Agricultural biotechnology has already delivered significant economic benefits to farmers and the environment in many countries around the world. The OAA and USDA conduct various programs under the Cochran Fellowship Program (CFP). The program objectives are to strengthen and enhance trade linkages between Malaysia agricultural interests and the United States. The OAA is staffed by personnel of the Foreign Agricultural Service (FAS) of the U.S. Department of Agriculture. The primary mission of the Library of Congress (LC), Kuala Lumpur representative office is to support the informational needs of Congress and the American people with regard to Malaysia and Brunei. The routine work of this office is the collection and processing of print and non-print materials for the Library of Congress, other U.S. governmental agencies, research institutions and universities in North America, Australia and Asia. This office annually collects about 1000 monographs and about 800 serials and periodicals. The office has also found a new source to supply newspaper in microfilm. Materials are collected in English, Malay, Chinese and Tamil on a variety of subjects including sociology, government/politics and geography. Of particular note is unique material we have been able to collect from governmental organizations, the private sector, and NGOs about political issues in Malaysia. Once a preliminary bibliographic record is made, the materials are sent to Jakarta and other LC centers to be cataloged, bound if necessary, and shipped to LC-Washington and participant institutions. In addition to the normal methods of processing, some publications are also scanned for electronic transfer to the United States on a special requirement basis. The Library of Congress Kuala Lumpur section is staffed by two Malaysian nationals and located in the American Embassy building. For more information, visit the Library of Congress web site. The Defense Attaché Office (DAO), consisting of attachés and a professional support staff, represents the United States Department of Defense to the Government of Malaysia and the Malaysian Armed Forces. As the diplomatic representatives of the Secretary of Defense, the Chairman of the Joint Chiefs of Staff, the Secretaries of the military departments, and the service chiefs, the respective Defense and Service Attachés liaise with Malaysian military and defense officials on matters of mutual interest. The Senior Defense Official/ Defense Attaché is the principal military advisor to the Ambassador on defense and national security issues. ODC manages and supports the Malaysian Armed Forces (MAF) procurement of U.S. defense equipment, services and training. The F/A-18 “Hornet” case is the largest and most active FMS program. Training provided through the FMS program includes courses provided by the U.S. Air Force, U.S. Navy, U.S. Army, U.S. Marine Corps and the U.S. Coast Guard. ODC supports U.S. Contractors and U.S. Government participation in major defense trade shows hosted in Malaysia (Defense Services Asia and Langkawi International Maritime & Aerospace Exhibition). ODC works primarily in government-to-government programs. ODC is the U.S. Department of Defense point of contact for U.S. Contractors who wish to do business with the Malaysian defense community. The embassy stands ready to provide all appropriate assistance to U.S. companies seeking to fill Malaysia’s defense requirements. When two or more U.S. companies seek to meet a single requirement, we are committed to providing even-handed assistance. The embassy sections specifically involved with assisting companies marketing defense products are ODC, the Foreign Commercial Service (FCS), and the Defense Attaché Office (DAO). ODC can assist by providing insight concerning Ministry of Defense (MINDEF) procurement procedures and defense requirements; FCS can provide detailed information regarding doing business in Malaysia, assist in Malaysian Government contacts outside MINDEF, and provide information on local agents through their Gold Key Service or by completing an FCS Advocacy Form. We request that U.S. companies marketing defense products make contact with the embassy through ODC. ODC can assist with appointments with FCS and DAO, if requested. ODC coordinates and supports approximately 14 – 16 bi-lateral and multi-lateral exercises with the Malaysian Armed Forces and the Royal Malaysian Police each year in order to promote interoperability and cooperation. Examples of such exercises are: Cooperation Afloat Readiness and Training (CARAT), Cope Taufan, Keris Strike, Air Warrior, and Joint Combined Exchange Training. Each year, ODC sends about seventy members of the Ministry of Defense and Malaysian Armed Forces to participate in U.S. hosted or co-hosted conferences and seminars. These events increase interoperability and cooperation between the U.S., Malaysia, and other countries in the region. ODC also supports specialized regional events and seminars in areas such as pandemic influenza preparedness and response; noncommissioned officer engagement, and maritime security. ODC manages the International Military Education and Training (IMET) program which provides U.S. training on a grant basis to students from Malaysia. Each year, ODC sends approximately fifty Malaysian military personnel for training under IMET. ODC also manages the Foreign Military Sales Training Program, Counter Terrorism Fellowship Program (CTFP), and Asia-Pacific Center for Security Studies (APCSS) courses. First dial the international access code (011 in the U.S.), then the Malaysia country code (60), then the area code (3), and finally the Embassy number (2168-5000). If you have any comments or questions regarding our website, please e-mail embassyklpa@state.gov.